The luxury camping site of Lago Maggiore Village is a family-friendly resort located upon the shores of Lake Maggiore itself. 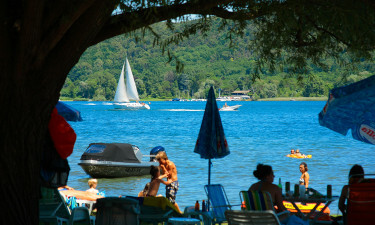 Only 3 kilometres from the town of Arona and surrounded by pristine examples of nature, this camping holiday resort provides hours of entertainment for both children and adults. 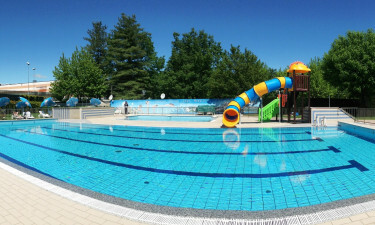 There is a large swimming area found within this complex, as well as a number of fun activities. As always, LUX-camp is happy to provide additional information as well as details regarding reservations. Why should I camp at Camping Lago Maggiore? Camping Lago Maggiore provides its visitors with a massive aquatic area to enjoy during their stay. This area is open from the middle of May until the middle of September. There is a pool designed for children and a whirlpool for adults. Lounge areas equipped with umbrellas are ideal for a lazy afternoon, while all patrons can benefit from unfettered access to the shores of Lake Maggiore. Lake Maggiore is considered to be one of the most beautiful bodies of water in all of Italy. It is therefore no surprise that many who visit this holiday camping site enjoy basking in the sun or taking a cool dip in its waters. However, it is also possible to take a cable car ride up to the top of nearby Mount Mottarone. Spectacular views can be enjoyed from this majestic peak. Other activities such as bicycling and hiking are also available. This luxury camping resort provides its guests with modern amenities as standard features. Disabled bathrooms and washing facilities, a fully equipped laundrette and wireless Internet are present within this complex. There are other areas designed for the sports enthusiast. Volleyball, tennis, table tennis and football can all be encountered within this luxury camping site. The sense of camping luxury to be found here is enhanced by the selection of foods and drinks to be found within a tranquil restaurant. Whether one desires a slice of traditional Italian pizza or dishes reflecting local flavours, the variety of options will not disappoint. 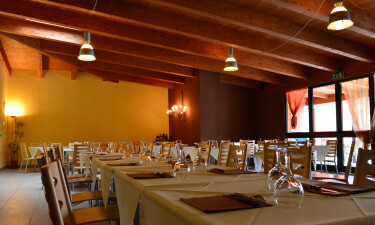 A bar is quickly able to serve up a cold pint of ale or a sparkling glass of Italian wine upon request. A supermarket offers basic camping supplies as well as a limited selection of foods and drinks. There is also a bazaar for those who are looking to purchase a few souvenirs during their stay. A newspaper stand and a tobacconist provide other essentials before heading down to the beach or lounging by the side of the pool.